Tom Sutcliffe and his guests musician Pat Kane, writer Rowan Pelling and novelist and film-maker James Runcie review the week's cultural highlights. Fela! 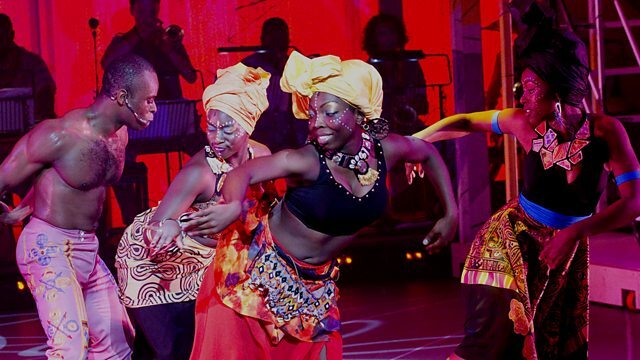 at the National Theatre in London is a fusion of music, dance and drama which tells the story of Nigerian superstar Fela Kuti. Choreographed by Bill T Jones, it stars Sahr Ngaujah as the charismatic musician. Uncle Boonmee Who Can Recall His Past Lives is director Apichatpong Weerasethakul's film about the last days of a terminally ill Thai tamarind farmer. It won this year's Palme d'Or at Cannes. It is a hundred years since Mark Twain died, which is the period of time that the the author stipulated had to elapse before his autobiography could be published. The first volume of three is now available. In his new exhibition - Homage 10x5: Blake's Artists - Sir Peter Blake pays homage to his heroes. He has selected the ten artists whose work has excited and interested him most and created five pieces in response to each of them. Documentary maker Hannah Rothschild's film Mandelson: The Real PM? follows Peter Mandelson during the run up to this year's general election, hoping to gain some insight into one of the more controversial figures in New Labour.